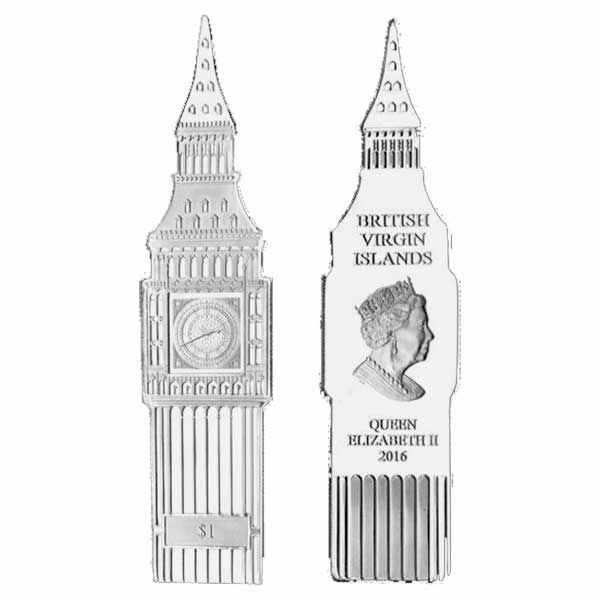 After the success of the Eiffel Tower shaped coin, this year we have another distinctly shaped coin from the British Virgin Islands, this time in the shape of Big Ben. Big Ben is in fact the name of the Great Bell of the clock tower, which was renamed the Elizabeth Tower in 2012 in honour of Her Majesty's Diamond Jubilee, which is positioned at the north end of the Palace of Westminster in London. However, the name commonly includes the clock and the tower and not simply the bell itself. 2016 marks the 160th Anniversary of the making of the first bell which was cast in Stockton-on-tees in England. However, this bell fractured irreparable and was changed. The tower itself holds the second largest four-faced chiming clock in the world as well as being one of the most noticeable landmarks of the United Kingdom and often appears in films with a London location. This distinct coin has been produced in the form of the clock tower revealing the detailed style of this stunning structure. As a special homage to Her Majesty's 90th Birthday this year, the time of the clock face is set at 2:40 am, the time the Queen was birthed. As a $1 Uncirculated Nickel Silver coin this is a perfect enhancement to any collection as well as each is available in a special pouch. 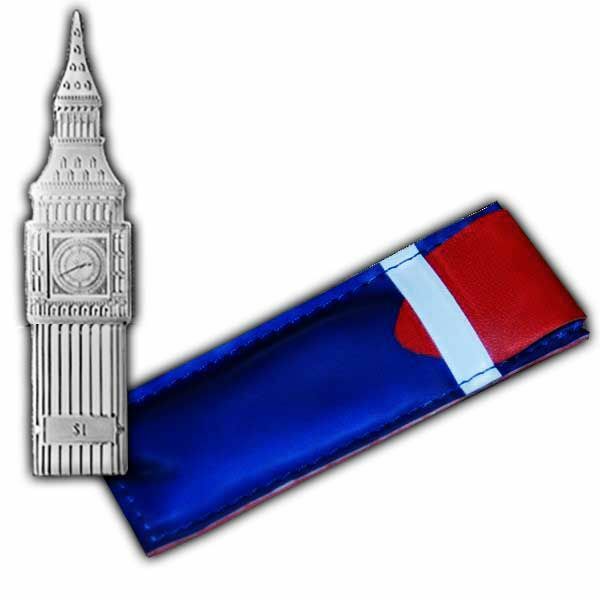 The layout depicts The Clock Tower (Big Ben) on a specially shaped form and the denomination shows near the base. The obverse bears Her Majesty's effigy by Pobjoy Mint as well as a few of the tower's building details.